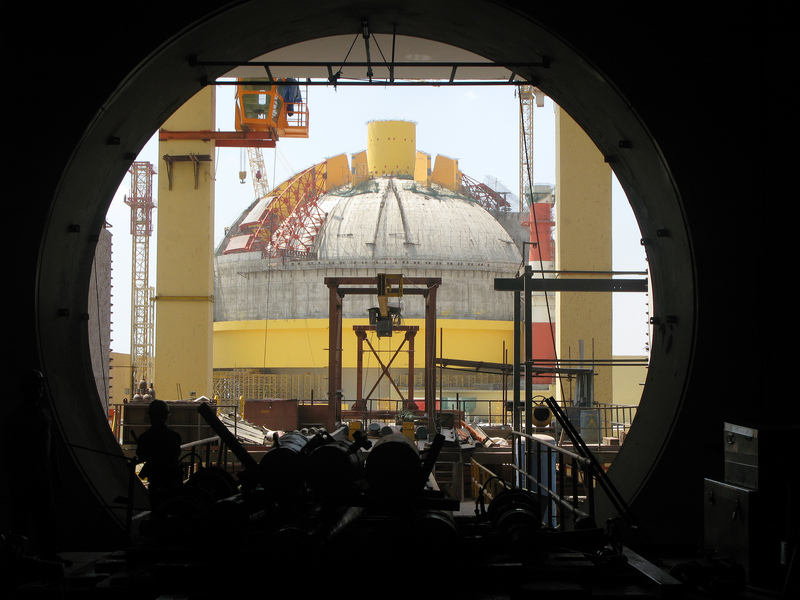 The ratification of the CSC coupled with a hortatory declaration is far from the ‘conclusive step’ in civil nuclear liability issues in India that the MEA envisages. India ratified the Convention on Supplementary Compensation for Nuclear Damages (CSC) in Vienna last week. The ratification has been hailed by the Ministry of External Affairs as “a conclusive step in the addressing of issues related to civil nuclear liability in India”. The United States has welcomed it as “an important step toward creating a global nuclear liability regime”. The truth of its significance however might be a trifle more sobering. India’s ratification to the CSC required it to declare that its national law is in compliance with the annex to the convention. It did so, despite the presence of section 17(b) of the Civil Liability for Nuclear Damage Act, 2010 [PDF], squarely contrary to article 10 of the annex to the convention. 2. if the nuclear incident results from an act or omission done with intent to cause damage, against the individual who has acted or omitted to act with such intent. (c) the nuclear incident has resulted from the act of commission or omission of an individual done with the intent to cause nuclear damage. It is plainly evident that article 10 allows only two conditions when national law allows recourse against the supplier. These two conditions are reproduced in section 17(a) and (c). Section 17(b), irrespective of its merits, is a third condition. Such a condition is not permitted by the CSC by a simple reading of its provisions, though the legal adviser to the Department of Atomic Energy has argued it is. Hence there should be clear cut liability on the supplier of nuclear equipments/material in case they are found to be defective. Further, this was not an acontextual remark. Prior to the existing language used in section 17(b), the right of recourse against suppliers was provided for only in instances involving ‘wilful acts or gross negligence’. However, on the recommendation of the standing committee, the language was amended to reflect a provision similar to the product liability laws that hold the supplier liable for product liability, faulty design, faulty manufacture, and/or negligence. This amendment was made on account of the fact that instances involving ‘wilful acts or gross negligence’ required proof of intent, difficult to establish in law. Instead, the standing committee observed that liability for latent and patent defects in supply should be specifically provided for. This is not only because this did not require proof of intent, but also since such defects in nuclear equipment or material were not disclosed by the suppliers, a practice that had to be curbed. Parliament thus consciously departed from the CSC provisions in legislating section 17(b) to adopt a fault-based liability regime for suppliers. Scarcely can dextrous diplomacy bypass such an imperative mandate of the law and parliamentary will. Section 17 of the CLND Act, 2010 is a kind of enabling provision; it gives a specific right to the operator but does not place any mandatory obligation or requirement to exercise the right of recourse against the supplier. In the absence of a mandatory obligation, the operator could choose not to exercise that right. It is a statutory right and not a fundamental right under the constitution. The views of the MEA cannot be said to be legally unsustainable, but a question may arise about advisability of such a waiver, particularly when NPCIL is a PSU. This raises a key subsequent question, not conclusively dealt with by the AG: Is waiver of a statutory right of a generic nature that imposes heavy obligation on national resources if exercised in conformity with public policy? A little further research would have demonstrated that it is arguably not. Indian public policy would be irreparably harmed if operators which are all government entities are permitted to defy the express will of Parliament by entering into a contract to the contrary. This is especially so if such a waiver results in letting a defective supplier off the hook and making the taxpayer pick up the tab for his defects. This legal position is clear from Supreme Court precedent. It is only for the Supreme Court to overrule such a view or take a position to the contrary. For the MEA to contend otherwise without any affirmation from the Court, amounts to curious doublespeak by the Indian state. Thus ratification of the CSC coupled with a hortatory declaration is far from the ‘conclusive step’ in civil nuclear liability issues in India that the MEA envisages. It reflects a myopic resolution of a stark and uncomfortable dilemma that has plagued the MEA ever since the Act was passed – either, to recommend its amendment to bring it in line with the CSC to assuage nuclear suppliers, or stand firmly behind its act which has the potential to herald a new and more equitable regime for nuclear liability internationally. The MEA has steadfastly refused to do either. As a result it has ended up walking what it believes to be a diplomatically sound tightrope. Unfortunately this tightrope belittles parliament, intensifies legal complexity, all the while largely failing to assuage nuclear suppliers. It is high time that the MEA opened its eyes to the fact that they’re not walking a tightrope – they’re on thin air. Arghya Sengupta is Research Director, Vidhi Centre for Legal Policy. He was lead author of a report titled: “Operationalising India’s Nuclear Agreements: Issues and Solutions of Nuclear Liability” which contains detailed arguments on this issue. It may be accessed here.